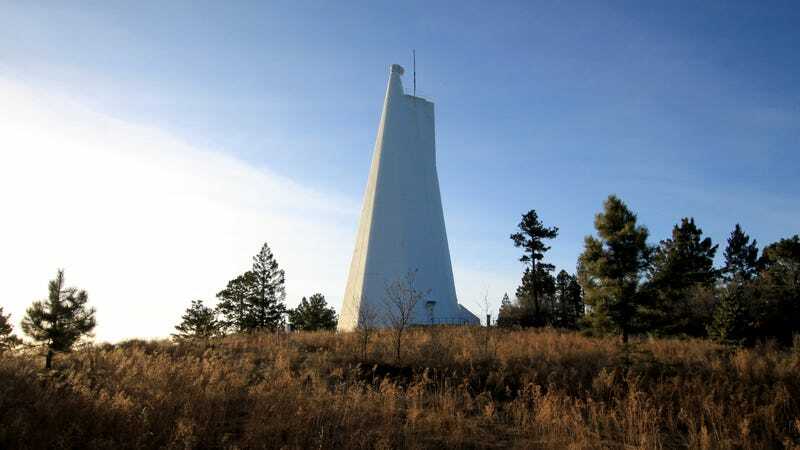 The observatory at Sacramento Peak was suddenly closed and evacuated on September 6 because of a “security threat.” The organization that runs the facility—Association of Universities for Research in Astronomy—and the FBI would not provide a public explanation of the threat. The lack of transparency surrounding the closure of a space research facility only 130 miles southwest of Roswell, New Mexico, fueled public speculation that the observatory was hiding military testing or a discovery of extraterrestrial life. Frank Fisher, public affairs officer at FBI’s Albuquerque Division, told Gizmodo the investigation is ongoing. A spokesperson for AURA said the organization would not comment on an ongoing investigation.